Expectations of Motherhood: I didn’t really know what to expect from motherhood as it’s not something you can imagine. I was so absorbed in feeling ill and hormonal when I was pregnant it was hard to remember there was a baby in there at times. I was actually really surprised when they plopped the baby on my stomach after giving birth because I just couldn’t get my head round the fact he was really in there. I’d wanted a baby for a long time but we waited until it was the right time for us in terms of work/ money etc. I didn’t think too much abut my expectations, I just knew I’d always wanted a family. Reality of Motherhood: The shock of it all hit me quite hard. After one night in labour, another night actually having Charlie and then another night in hospital with babies screaming all night, I was exhausted from the beginning. I also lost a lot of blood and was really anaemic and dizzy. Charlie and I also found breastfeeding really difficult, which I had not prepared for at all. I felt a bit jealous that my husband bonded with Charlie instantly, because I didn’t enjoy much of the first few weeks because it was so difficult to get him breastfeeding. I’m really proud of their relationship now though, although I’m still a teeny bit jealous of how much he loves his daddy! My mum came over to help the day after we got home from hospital and didn’t leave for a week! 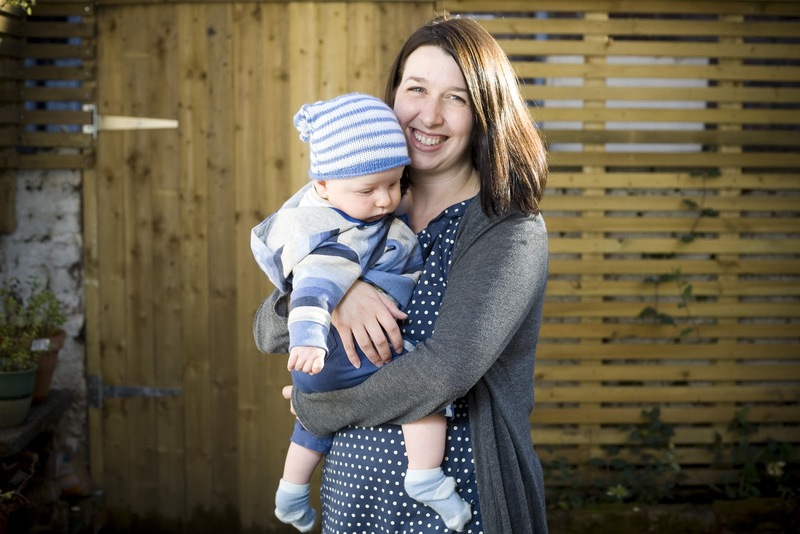 I struggled on with the breastfeeding for three months but once I’d got Charlie bottle feeding and my husband could help out at night times, it was a massive relief. Now Charlie is eight months old he’s just an adorably happy bundle of cuteness and motherhood is amazing. Before I had a baby, I knew that you’d love your baby unconditionally – but I didn’t prepare for the ‘cute factor’. That you could just think something was just the most adorable thing and every single thing they do is ridiculously cute. Taking your child home for the first time: In true disorganised fashion, we hadn’t practised using the car seat, so were completely baffled at how to loosen the straps enough to get Charlie in there. Luckily the chap with the women opposite me in hospital had practised thoroughly and offered to help us. I must add that Halfords had taught us how to strap the seat into the car properly though! We didn’t have much time to dwell on the enormity of the situation when we arrived home as both our families descended on us and then my best friends arrived so we had a lovely day. The best/worst advice: I repeatedly badgered my friends with kids on how they dealt with things, which was possibly a bit annoying for them but very useful for me. I also read books incessantly, which really helped. I liked to read books on every style of parenting and then make up my own mind. We ended up doing the Gina Ford routine, which I really liked because it meant if anyone else looked after Charlie they didn’t need to figure out when to feed him or when he needed to sleep. I don’t really understand the criticism of the routine really – if it doesn’t suit you or your baby then just don’t do it! Completely ignore advice that you don’t feel is right. As the mum, you always know best. I suppose the best advice is something that everyone says, which is enjoy and remember every moment because the first year goes (or is going!) so fast. The hardest parts of being a mother: Obviously the lack of sleep at the beginning is the hardest thing ever and the relentless feeding, burping and changing cycle is just never-ending. But now I don’t feel there’s anything which is hard – apart from letting the grandparents have him because I miss him too much! The best parts of being a mother: Just having a little buddy with you all the time is great fun. Charlie really makes you work hard for a laugh, so when he does giggle you really feel special. I also love seeing him change and develop every week. Hopes for your family: That he continues to be a happy and bubbly little person and enjoys life. 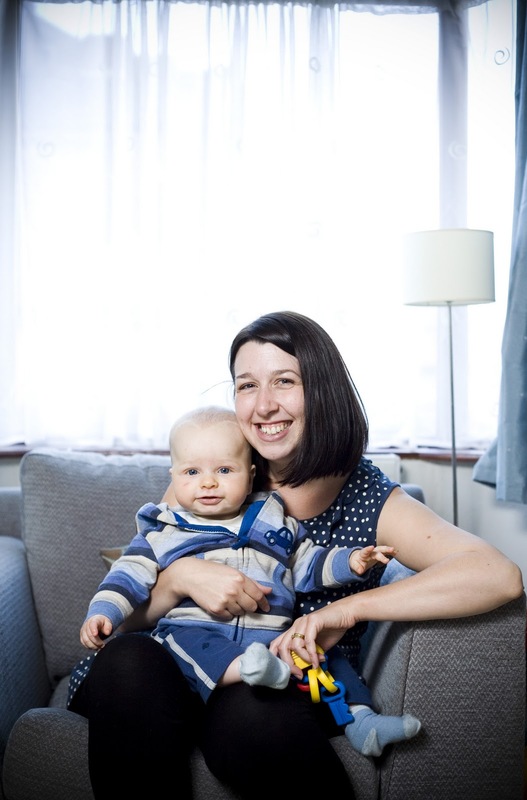 What advice would you offer to new and expectant mums: Just go with the flow and the hardest part won’t last that long. Try to enjoy them when they’re tiny because in a few months it will be hard to imagine anything that tiny again! Don’t stress too much about breastfeeding, whether they’re sleeping enough, or anything else. Every baby is so different and we can only do our best. If you don’t want visitors, just tell people that. We banned visitors for a couple of weeks because we were just so exhausted, the thought of making someone a cup of tea AND then washing it up was too much. Carolyn Hughes is a freelance PR and copywriter in Manchester. She also writes the blog Manchester Is Ace and has just launched Little Dudes, a blog about things to do with babies, toddles and kids in Manchester.